Dr. Sachin Patkar is well known Psychiatrist, practising in Mumbai since 15yrs in Mumbai. Dr. Sachin Patkar completed his graduation and post graduation with distinction from reputed King Edward Memorial & G.S Medical College, Mumbai. Medications may be indicated when your mental symptoms are not responsive to psychotherapy alone. When a mental illness markedly impacts your ability to work, maintain interpersonal relationships, or properly care for your basic needs, medication may offer much needed relief. 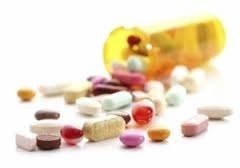 You will learn how the medication works, its dosage, and frequency, its expected benefits, possible side effects, drug interactions, and any withdrawal effects you may experience if you stop taking the medication abruptly. By the end of the discussion you will have all the information you need to make a rational decision as to which medication is right for you. We at our clinics have a team of qualified Psychologists for Psychological testing. Some of the tests conducted are IQ tests, Personality Evaluations, Projective Tests, Paper- Pencil tests, Dyslexia screening tests, Neuropsychological tests. A detailed report is given to you at the end of the testing sessions which would explain your scores on these tests. These reports are helpful to plan out a treatment strategy for the clients. Contact us for more details regarding the testing or to request for an appointment. How to deal with my child? Psychotherapy, or Counselling is a powerful technique for the treatment of mild psychiatric symptoms or for an individual who simply wishes to overcome an aspect of their life (social, occupational, marita etc.) with which they are struggling. Benefits of therapy include improved interpersonal relationships, stress reduction, improved self-esteem, improved coping skills in dealing with difficult situations, and a deeper insight into your personality, your development, your habits, and relationships. With that insight, comes the capacity to change. I often use a combination/eclectic approaches in treating a client. Sometimes psychotherapy alone will suffice. 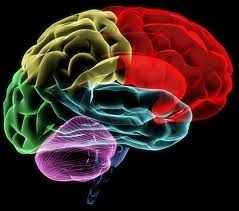 Often , in more complicated cases, a combination of psychotherapy and medication is optimal. In such a case, I can either treat a client with combination of psychotherapy, and med management, or med management only, while the client receives therapy from another mental health professional. We have a specialised centre for Drug and Alcohol De-Addiction in Mumbai. This is an in house facility, with a protocol for de toxification, medication therapy with management also simultaneously on going therapy sessions by trained facilitators. Depending upon the severity of the addiction and other physical parameters the duration of stay is decided. Major Depressive Disorder (MDD) is one of the most commonly seen disorders in psychiatric practice. 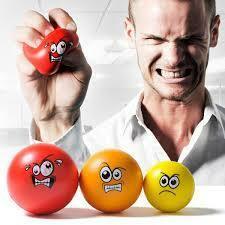 Clients describe feeling sad or irritable for unexplainable reasons, often for long periods of time. This sadness may be accompanied by a loss of energy, loss of appetite, and insomnia. Clients have often reported to me that they have no desire to participate in any of the activities that they previously found pleasurable, and they may isolate themselves socially. You may feel like you are “in a fog” and cannot concentrate on day-to-day tasks. At its worst, depression can lead someone to feelings of guilt, hopelessness, and even thoughts of suicide. Thankfully, depression is very amenable to treatment with both medications and cognitive behavioral therapy. 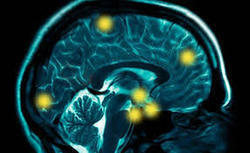 Also the recent TMS procedure is very effective in treatment of depression. Everyone has anxiety to some degree in certain situations.However when excessive worrying interferes with day- to-day functioning, it can have serious consequences. Clients report feeling “on-edge” all day, worrying about “every little thing.” This constant worrying causes a great deal of muscle tension, and fatigue and often interferes with sleep. It may have a negative impact on relationships and work. when the anxiety interferes to the point of avoiding any form of social interaction, it can have negative consequences. Clients that have social anxiety disorder report an intense fear of being judged, scrutinized, or looked down upon in any kind of social interaction. They are frightened of being humiliated or shunned by the group. In a society that frequently demands social interactions in our jobs, and relationships, this disorder can be very frustrating. Insomnia/sleeplessness has numerous causes, and many manifestations. You may have a difficulty falling asleep, maintaining sleep, or simply complain of a shallow unrestful sleep. Either way, clients often suffer from excessive daytime sleepiness, sleep attacks, fatigue, and a difficulty performing their daytime duties. Deficient sleep can be a cause of or a sign of many psychiatric conditions. It is important to consider sleep habits, substance use, sleep apnea, and rule out other psychiatric disorders before treating with medications. Used judiciously, in combination with behavioral techniques, medications can provide a much needed good night’s sleep. ADHD is being diagnosed at an alarming rate these days. Too often behavioral problems in children are falsely attributed to the diagnosis, and needlessly medicated, when simple behavior therapy will suffice. 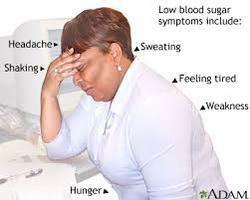 When it does occur for real, it can cause severe difficulties at work, home, and in relationships. People that suffer from ADHD complain of an inability to focus on studies, or work without being distracted by any noise, movement, or other minor stimulus. They find themselves going over work over and over again, or simply avoiding it all together. Forgetfulness and silly mistakes are common resulting in declining grades, and poor performance on tasks at home or at work. Many children with the disorder are also hyperactive, impulsive, as if “driven by a motor.” They blurt out of turn, and can’t sit still, often resulting in disciplinary action at school. We do understand that not all patients are willing to come to the hospital for in house management of their condition and therefore to help the families of such reluctant and violent patients we have a specialised pick up facility from your home. There are trained staff including a doctor who will come to the place where the patient is located and accompany him/her to our Hospital in a Special Psychiatric Ambulance. The staff is trained with skills in persuasion, and management of such clients. If need be medication is given to the client to calm him/her down. Care is taken to see that minimum disturbance/embarrasment is caused as we do realise that discretion is of utmost importance and that the neighbors are not disturbed during the transfer of the reluctant/violent patient.